People still kick around the idea the craft beer might hit a bubble.When I say “bubble”, it’s about a concern that somehow, all these new and growing breweries might somehow fail. During the dot-com bubble fifteen years ago, we saw so many Internet based firms proliferate and spectacularly flame out. With the housing bubble, we saw housing prices increase and housing construction reach a crescendo, only to screech to a halt as the easy credit fueling the market became unsustainable. So it’s not too unreasonable to look at the exceptional growth of breweries in American, couple that with our experience of previous bubbles, and conclude something similar could easily happen in the brewing industry as well. On this, I have a couple thoughts to add. 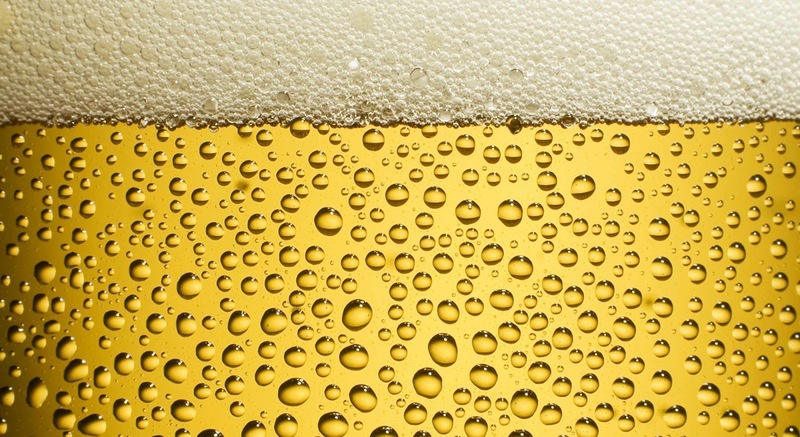 There is psychological side to these beer bubble concerns. For such a long time in the United States, there was only a handful of breweries. We’re just not used to seeing so many breweries in operation which can cause us to think something can’t be right and all these breweries simply cannot be sustainable. I used to think this way myself. Those thoughts ended for good last fall when I visited some friends in Bend, OR, a town of only about 85,000 easily supporting more than ten breweries. Yet, when I went to the local grocery store, I noticed plenty of people rolling through the check out line with stuff like Bud or Coors’s Light in their carts. Given all the crowded brewpubs all over Bend while there were still plenty of people who could still convert to craft beer consumers, in no way did the craft beer market in Bend seem saturated. The more you think about it, the more it makes sense. Breweries like A-B InBev sell beer by the millions of barrels. That’s a little less than the annual output of Sierra Nevada. Ten brewpubs, each selling just a few thousand barrels of beer a year is still pretty small fraction of total beer sales in city of 85,000. The market can easily absorb that many small breweries and certainly a few more. The second thought has more to deal with mathematics. If there will be a bubble, it will depend a lot on how fast the growth of craft beer’s market share declines. Right now, craft beer is growing at a rate of 15-20% per year. Given that craft beer is only about 11% of the overall market in terms of volume, these torrid growth rates are actually sustainable for a number years. But of course, they cannot last forever. How will all this growth end? Will it be a gradual decline as the adoption of craft beer slowly reaches equilibrium or will things just hit a wall when everyone is converted to craft who can be and the rest of the market stubbornly sticks to their macrobrews? This matters because a lot of future growth is built into the beer industries. I don’t need to tell you hundreds of breweries are coming online each year. But more importantly, lots of established breweries are investing in major expansions. As more money is being invested to produce more beer, if the market demand suddenly stopped increasing, it could no longer absorb all the beer produced by this expansion. People who paid a lot of money based on future expectations could find themselves in a lot of trouble if they could sell enough beer to pay off their loans. That’s how bubbles happen, folks. My take is when craft beer’s growth rate inevitably slows, it will do so at a rate that breweries can adjust to. Suppose in 2016, the growth rate is 15%, and then in 2017, it’s 12%, with 2018, 2019 and 2020 respectively being 10%, 8%, and 6%. Breweries will have time to reign back in their investments and adjust to changing market realities. On the other had, if the growth rate in 2016 is 15% and then it drops to 3% in 2017, there will likely be a whole bunch of extra unused capacity with costs and lost opportunity that could cause some breweries to fail. My guess is that we’ll see the former scenario rather than the latter. Habits like beer drinking tend to change over years, not overnight. Craft beer isn’t some new fad, it’s been around arguably for fifty years, and started becoming firmly established 20 to 30 years ago. As such, craft beer isn’t going anywhere. While breweries will likely see more a more difficult business climate moving forward than the current go-go times and breweries will fail as any businesses do, the idea of a devastating craft beer bubble seems less and less likely. I certainly hope to be right. Everyone seems to have an opinion as to whether the craft brewing industry will experience a bubble. Most of this speculation is fueled by the shear growth of so many new breweries. I’ve weighed in on the subject myself and I’ll spare you the details of pouring through my number heavy analysis if you don’t want read through it and just give you the conclusion. I estimated that given so much new brewing capacity coming on line that the craft brewing industry would have to continue to grow sales volume at an annual rate of 15% for all that beer to be sold. If the craft brewing industry slowed to a 5% or even 10% percent growth rate over the next couple years, there would be so much excessive capacity coming online the many breweries would have a hard time selling enough beer to meet their financial obligations. Most have taken on debt to fund their expansions, so if they can’t sell enough beer to pay off the debt and operating expenses, they’re in a lot of trouble. Over time, a lot of breweries could end up going out of business and I made a semi-wild guess that two or three hundred breweries could exit the industry in the next couple years, higher than the current 1-2% failure rate of craft breweries. 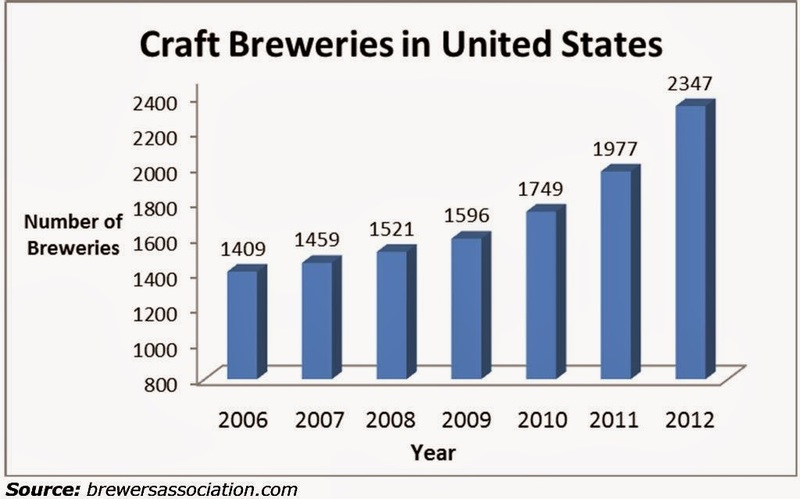 The good news is that the astonishing recent growth of craft beer sales hasn’t slowed, but has inexplicably increased. A recent press release by the Brewer’s Association reports an 18% volume growth and a 20% revenue growth in 2013. These are just amazing numbers. Rarely does growth in any industry, let alone a fairly mature one like beer, reach these anything close to these growth levels. Most businesses are elated whenever they achieve 10% sales increase and seldom does this happen year after year after year. Bottom line: As overheated as the craft brewing industry seems right now with so many new breweries and brewery expansions, this industry-wide capacity growth seems sustainable in the near term given the 20% increase in revenue growth in 2013. With craft beer still occupying only 7.8% of the beer market, it’s hardly to the point of saturation. So a 20% growth rate is still plausible for at least the next two or three years. Maybe the growth will slow, but there’s really no compelling reason why. If the industry ever experiences a shake out with many breweries going out of business, that day of reckoning, if it ever comes, seems further off in the future. 1) Bubbles occur when there’s too much supply and not enough demand for all the supply to be sold profitably. A bubble is a pretty loose term for large scale market failure. I’ve experience bubbles professionally in both fiber optics and solar panels, and in the United States, we all witnessed the “dot.com” bubble and the housing bubble. Lots of people describe bubbles using a bunch of big words and technical jargon that sound deep and insightful, but bubbles really aren’t that complicated. Bubbles occur when too much supply is created in a market where there’s not enough demand for all that supply to be sold profitably by most of the firms in the market. While craft beer is growing fast, many breweries are involved in major expansions and over a thousand new breweries are in the planning stages. 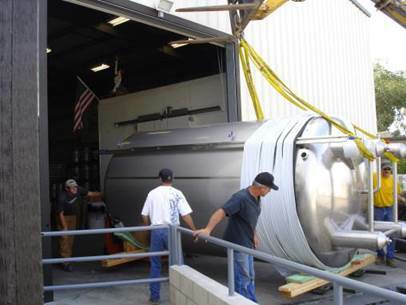 Brewing requires large investments in equipment and material, so most breweries take out large loans to pay for start-up and expansion costs. If all these breweries have trouble finding distribution channels in an increasingly crowded market to sell their beer, or have to highly discount prices leaving them with little or no profit, they could find themselves unable to pay off the loans and may go out of business. All the new breweries being formed draw most of the attention when a craft beer bubble is considered, but no one seems to pay too much the large expansions taking place within the industry. Simply counting from press releases and making reasonable and conservative estimates, I find at least an additional 4 million barrels of annual capacity is about to come on line. This includes Lagunitas, Anchor Brewing, Sierra Nevada, and New Belgium building second breweries and major expansions from breweries like Deschutes, Boulevard Brewing, Dogfish Head and Bell’s. There are numerous monthly press releases from various smaller breweries breathlessly announcing expansion plans and major distribution deals. So what? Well, according to the Brewer’s Association, craft beer sales for the first half of 2013 were 7.3 million barrels. If we simply double that number, that means at least 14.3 million barrels of craft beer will be sold this year. If we compound that number for 2014 and 2015 at craft beer’s currently astonishing growth rate at 15%, that means there will be an additional 4,700,000 million barrels sound in 2015 over 2013. That means the current 1,605 breweries the Brewer’s Association says are in the planning stages will be fighting over the sales of the remaining 700,000 barrels of beer, which works out to 436 barrels per brewery, or a little less than the size that a small brewpub. Which suggests if you plan to open a small brewpub, there will probably be a place for you. However, any brewery with ambitions of becoming a regional brewery pumping even smallish 1,000-3,000 barrels of beer each year is facing some very long odds. It’s also important to add I haven’t included so-called crafty brewers like Goose Island or the Craft Brewers Alliance in this analysis, since they are not included in the statistics of the Brewer’s Association. Needless to say, they make the situation for any aspiring craft brewer worse since Goose Island is in the midst of a nationwide rollout as Anheuser-Busch transitions their Budweiser facilities to produce more Goose Island. The Craft Brewer’s Alliance recently announced a brewery expansion of nearly 150,000 barrels annually as well. I have seen and heard numerous comments assuring everyone that craft beer won’t experience a bubble because it will continue grow. While it certainly true that craft beer is growing and is currently humming along at a 15% a year pace, it’s an open question if this high growth rate is sustainable for the next 2-3 years at least. Because if this 15% growth rate is not maintained, a lot of breweries are going to find themselves is seriously difficult position. Yes, it is certainly possible that craft beer industry could grow by 20%. That would be an unprecedented growth rate for a mature product like craft beer, which has been around for decades, and craft beer has never experienced anything close to 20% growth in any year. It’s just not likely to happen. I see the craft brewing industry going through a similar pattern to bubbles past, with many new entrants and over expansion in a rapidly growing market to the point where it becomes over saturated and only the strongest firms can survive. But unlike the dot.com, fiber optic, or solar panel bubble I’m familiar with, I don’t expect the majority of the businesses to fail. Established breweries like Stone Brewing, Sierra Nevada, or New Belgium should do fine. The current rate of failures in the craft brewing industry is currently absurdly low, around 40 a year, or 1-2%. Talk to people in the craft brewing industry, and you’ll find them conceding a shake-out or consolidation is on the horizon. In fact, what I’ve basically done is express in numbers the gut feeling many in the industry have. So it’s pretty realistic to expect a few hundred breweries failing as the market reaches equilibrium. There is little doubt in my mind we are headed towards a market correction of this magnitude.